The most common repair and maintenance activity is rebuilding worn steel components that have worn away by abrasion and impact, such as earth moving, mineral handling, scrap crushing etc. This is usually done by building up layers of weld metal on the worn areas and then grinding back to shape where necessary. The most common hardness used to do this is so called 600Hv. The Hv refers to the Vickers scale of hardness. The other common scale is Rockwell HRc (55HRc =600Hv). This level of hardness is the best compromise between resistance to abrasion and impact. Higher hardness is good for abrasion but is brittle under impact, lower hardness is good for impact but wears quickly under abrasion. The most common process to do this work is MIG welding and solid wires to give this level of weld metal hardness are fairly common. . One drawback of MIG wires for this hardness is that they are difficult to draw and hence expensive. 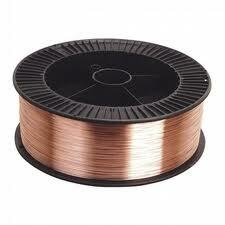 A more cost effective way is to use cored wires. The alloy is in the core with a mild steel sheath so it is like drawing a normal mild steel MIG wire, so reducing cost. 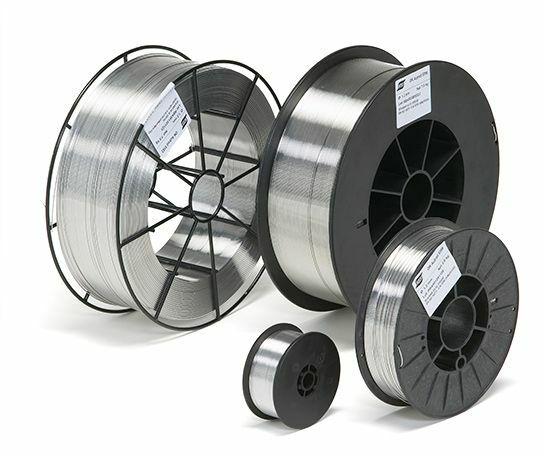 This is substantially cheaper than the solid wire and has a higher deposition rate, so a double benefit.